Welcome to the 18th conference of the European Institute for Outdoor Adventure Education and Experiential Learning (EOE). 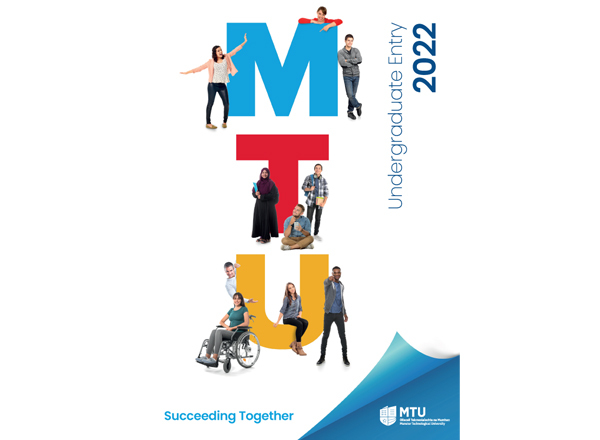 The 2019 conference will be hosted by the Institute of Technology Tralee, a higher education college on Ireland’s Atlantic coast and the UNESCO Chair in Inclusive PE, Sport, Recreation and Fitness. The EOE Network is a vibrant association of practitioners and academics and this three-day conference will reflect that mix with practitioner case studies, practical workshops and academic presentations. It is a key networking event for social and youth workers, teachers and educators, students and academics from across Europe. 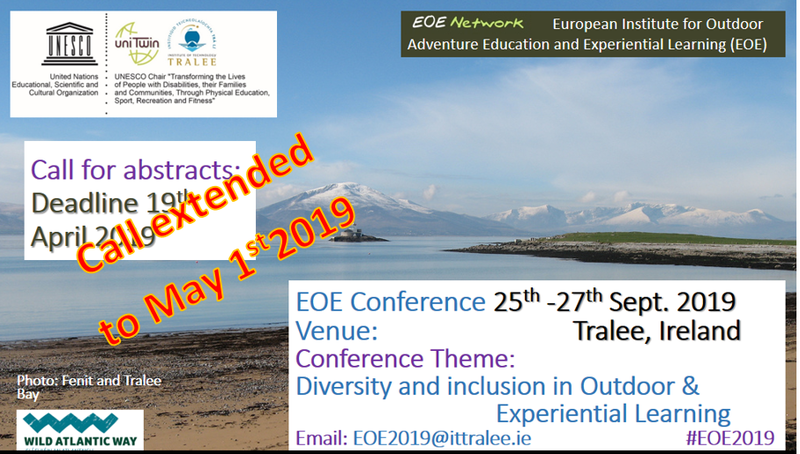 While we call on practitioners and academics to come and discuss these engagements, the conference also seeks to look at how we can strive to improve the inclusive nature of outdoor learning activities and to identify how we can facilitate the involvement of those currently underrepresented in Outdoor Learning. Applications for the event can be made by completing the Online Registration/Fees Form for the conference. We are pleased to announce our Keynote Speaker for EOE2019 is Dr. Erwin Borremans from the LIVE Vocational College in southern Finland. Erwin is the director of Adapted Physical Education for the LIVE Vocational College’s campuses spread across the southern region of Finland. Erwin gained his PhD from the University of Jyväskylä. His study was on physical fitness and physical activity in adolescents with Asperger Syndrome. Erwin and his co-workers have had particular success integrating outdoor education and outdoor physical activity into the special education programmes of their vocational institute. This has included local outdoor programming and residential programmes in Lapland for students with both physical and learning disabilities. The conference fee covers the three day, two evening programme with outdoor fieldtrips, coffee breaks and lunches included. It also includes a barbeque evening meal at Fenit Harbour (1st evening) and the conference banquet at the Meadowlands Hotel (2nd evening). Details of the conference packages are available on the application form. The full programme for EOE members is €250 and €300 for non-members. Day rates and full-time student rates are also available. EOE membership is free! The conference will take place on our North Campus in the newly built sports building and on the surrounding estate. Directions for getting to the region and to the campus can be found at this LINK. ITTralee is 300Km from Dublin Airport, 100Km from Cork Airport and 20Km from Kerry Airport. While Kerry Airport is the closest, there are limited international flights. Cork and Dublin have a greater number of international connections with train & coach services to Tralee. There are flights from Dublin – Kerry twice a day. Our main accommodation partner for the conference is the Meadowlands Hotel, Tralee. They have reserved rooms at special conference rates for delegates with shared rooms from €45(B&B) per person. Only 2km from the campus, it is less than a half hour walk, cycle or wheel. We are providing a temporary campsite on campus with toilets, showers, a communal area (Yurt) and 24 hour security. There are limited camping places which will be allocated on a first-come basis. Email us to reserve a place. There are a number of other accommodation options including hostels, B&B’s and hotels within 3km. The GO KERRY website can provide you will all options.